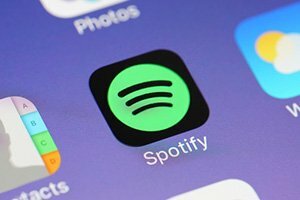 The Spotify IPO date is scheduled for Tuesday, April 3, 2018, but we have a better profit play for Money Morning readers. It's a proven winner that could climb 28.06% over the next 12 months, and that doesn't even include a $2.52 dividend (1.46%). The company we're talking about is Apple Inc. (Nasdaq: AAPL). Yes, that may not sound as exciting as getting on the "ground floor" of a public offering, but Apple is the better profit play across the board. While potential investors are attracted to Spotify's 70 million subscribers, Apple boasts 38 million subscribers to its own music-streaming service. And while Spotify hasn't managed to post a profit, Apple is one of the most profitable companies on the market. On Jan. 29, Money Morning Director of Technology & Venture Capital Research Michael Robinson said current shareholders should buy more Apple stock on the dips, and first-time buyers should get shares right now. And if you're intrigued by the Spotify debut, it might be the perfect time to buy Apple. We always warn our readers that IPO prices can have wild swings in the first year of trading. Retail investors think they're going to miss out on the next big thing, buy in at inflated prices, and then demand falls. For example, just look at what happened since the March 2, 2017, Snap Inc. (NYSE: SNAP) IPO. Shares of SNAP opened to the public at $24, but today (April 2), shares of SNAP opened at $15.67. That's a 34.70% decline since Snapchat went public. Now, that's not the case for every IPO. Some companies are so valuable it makes sense to buy in as quickly as possible, since that might be the cheapest price you'll pay for the stock. The stock price for Alibaba Group Holding Ltd. (NYSE: BABA), for example, has climbed 168.83% since its IPO in 2014. But Spotify simply hasn't proven it deserves your hard-earned money. In a February 2018 report, the music site revealed it lost $1.5 billion in 2017. If You're Not Making Millions of Dollars with Cryptocurrencies… You Could Be. Click here to discover the tiny coin that will soon be BIGGER THAN BITCOIN… and how to claim YOUR cryptocurrency fortune while you still can. The company simply hasn't figured out how to translate its user base into profits, and it might never figure it out. An astronomical 79% of its revenue has to be paid out in royalties to artists, and there's no clear path to resolve this problem. On the other hand, Apple raked in $88.3 billion just in Q1 2018. The Apple stock price has also climbed 173.26% in the last five years. In comparison, the Dow Jones Industrial Average climbed just 62.15% during that same time.